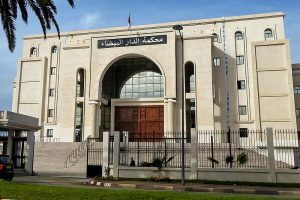 TIZI-OUZOU, Algeria (Morning Star News) – A court in Algeria yesterday withdrew a six-month prison sentence but upheld a fine on a convert from Islam for carrying Christian literature and some crucifix-shaped keychains into the country, sources said. 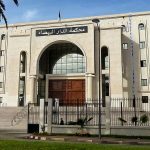 Idir Hamdad was fined 20,000 Algerian dinars (US$172) plus customs expenses after a judge at the court in Dar el Beida, on the outskirts of Algiers, ruled he was guilty of importing unauthorized items without a license, his attorney said. Notice of a six-month prison sentence and fine had been delivered to his home on March 4 stating that he had been convicted and sentenced en absentia on Sept. 28, 2017, the lawyer said. “To condemn a Christian…with about 20 keychains, including four or five bearing crucifixes, and six scarves, to be sentenced by the justice of our Algeria following a seizure at customs, is ridiculous in view of Article 365 of the Code of Customs,” attorney Sadek Nadjib told Morning Star News, adding that carrying the items did not violate Algerian customs law. Hamdad’s attorney, a Muslim, said he had expected complete acquittal since there was no basis for the charges. Hamdad and witnesses who attended a court hearing on April 12 said the judge, a woman without head covering (hijab), appeared very surprised at how little the facts of the case supported the charges. Hence he and his defense attorney were surprised when the charges were not thrown out entirely yesterday, they said. Customs officials had stopped Hamdad, a 29-year-old convert who put his faith in Christ in 2002, upon his arrival to Houari Boumedienne Airport in Algiers from Jordan on April 29, 2016; the items in question had been donated to him by a church in Amman, Jordan. One after another, sometimes at the same time, the officials peppered him with questions, he said. “It fell on me like a rain: ‘Are you a Christian? Where do you come from? Who gave you these objects? And those Christian books, who gave them to you? Who is it for?’” he said. Two police officers grabbed him and forced him to follow them out of the international terminal to the national terminal, where they held him for eight hours without food or water, he said. At the end of this interrogation, they confiscated the items and released Hamdad early in the evening, he said. Another Christian, Nourredine Belabed, was sentenced on March 8 to a fine of 100,000 dinars (US$868) and a suspended three-month prison sentence under the 06/03 law and awaits appeal in Tiaret. Algeria ranked 42nd on Christian support organization Open Doors’ 2018 World Watch List of the countries where it is most difficult to be a Christian.